Social media can be a blessing and a curse. Its blessing is that it can provide inexpensive consumer research because your customer is right there. Plus, it can provide free advertising for a job well done from people "just like us," not some super model with gorgeous hair who says she uses Brand X shampoo (yeah right). However, it can also be a curse. Dissatisfied customers can say things from a distance that they are not brave enough to say in person. This can cause real problems especially, for small businesses. Let's face it. We all make mistakes. Things happen. The goal is to correct complaints—when possible—before they can do irreparable damage to your reputation. Work to fix the misstep. Quickly work to resolve the problem, offline if possible. The most efficient way to do this is to have an action plan to handle missteps. It is best to have one that you can slightly modify for different circumstances. when a misstep occurs. This allows for a consistent quick responses and a way to track any shortfalls in customer service. A customer may recognize when a problem has been solved and possibly change or remove the negative review. Solicit positive reviews. In most cases, unless you can prove malicious intent, a bad review can not be removed quickly. To counter, ask customers that are pleased to post results of their experience and post on several review sites such as CitySearch and Angie's List. 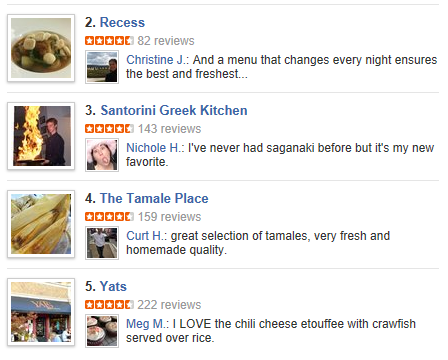 Typically, new positive comments will push the negative ones down the list of reviews. Keep in mind that all reviews may not be posted depending on the profile review approval process. Reviews that seem to be illegitimate are often hidden from the public in the "Filtered" reviews section at the bottom of each page. Even legitimate reviews may fail to clear, and will not appear. Create your own website presence. We recommend a strong website, participation in popular social media, and Google Maps. Blogging is another option for creating recent and relevant content for search results. This will put your company name first when a search is done for your company followed by the reviews. Without a website, just the reviews are listed. Monitor the web for comments. One efficient way to monitor online activity for your business is by setting up a Google Alert with your company name and variations of your company name. Each time your keywords are mentioned online, Google will send you email notification with relevant results based on your queries. TBH Creative offers full service solutions and web strategies to businesses. We have helped businesses create a strong online presence and define their online strategy.